Radamel Falcao’s first-half header saw Monaco defeat Arsenal 1-0 in the final match of the Emirates Cup at the home of the Premier League club. 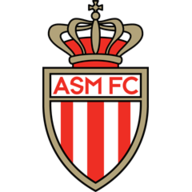 Monaco were gifted the only goal of the game in the 37th minute when Falcao was given the freedom of the Arsenal penalty area to head home Joao Moutinho’s free-kick, awarded for Jack Wilshere’s clumsy lunge on Nabil Dirar. Arsenal had needed only a draw to claim the Emirates Cup, but instead the trophy was claimed by Valencia, who defeated Benfica 3-1 in the day’s earlier game. Arsene Wenger believes new signing Calum Chambers could become a world-class midfielder for Arsenal. 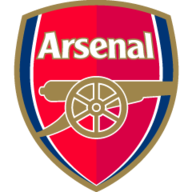 The Gunners were denied a clear penalty late in the second half, when referee Martin Atkinson initially pointed to the spot after goalkeeper Danijel Subasic felled substitute Chuba Akpom, only to change his mind on the advice of his assistant and give a free-kick outside the box. Summer signing Alexis Sanchez started the game and played on both flanks and then through the middle in the second period before being withdrawn in the 74th minute. The game marked 15 years to the day since Gunners favourite Thierry Henry signed from Juventus - and a new prospective hero made his first start for the club as Arsene Wenger named Sachez in his starting line-up. But, having won 5-1 against Benfica 24 hours earlier, Arsenal struggled against the Ligue 1 outfit and created little in the way of clear-cut chances with Sanchez rarely on the ball. With Saturday's four-goal hero Yaya Sanogo and fellow goalscorer Joel Campbell rested from the squad, Wenger's side struggled to play at the same high tempo that had seen them blow Benfica away. Falcao, starting a game for the first start since a serious knee injury in January, opened the scoring as he converted a free header from the edge of the six-yard box eight minutes before the break. Sanchez was on the periphery for the opening 45 minutes and was moved into a central role when Olivier Giroud was replaced at the break by midfielder Alex Oxlade-Chamberlain. Fellow new signings Mathieu Debuchy and Calum Chambers started in the Arsenal defence, with the latter replaced by Ignasi Miquel at half-time. Former Barcelona man Sanchez was more involved immediately following his change in role as he fed Santi Cazorla inside the Monaco penalty area, with the Spaniard poking the ball through to Jack Wilshere - whose powerful effort was superbly turned away by Subasic. Sanchez could only slash a shot wide after Nabil Dirar had dallied in possession inside his own box - the Chile international's last contribution before he was replaced with a little over 15 minutes remaining. Akpom came on in his place and was brought down by Subasic as he burst into the box, only for referee Atkinson to award a free-kick rather than a penalty - despite replays showing the foul was clearly inside the area. Valencia finished the tournament on nine points after coming from behind to beat Benfica 3-1 in Sunday's early kick-off. Derley opened the scoring early on for the beaten Europa League finalists after their Spanish opponents had them gifted possession but a 10-minute second-half salvo saw Valencia take victory. Jose Luis Gaya levelled four minutes after the interval with Pablo Piatti and Andres Guardado giving Nuno Espirito Santo's side the win and overall success in the pre-season tournament.